So you just taught your students something new. Maybe it’s a math operation, a bit of music theory, or the conjugation of an irregular verb form in Spanish. Now you’re ready to get them practicing. One standard approach is to assign written exercises. Fine. That’s perfectly fine. Except when it’s not, because you do it every day, and students are dying to interact more, move more, talk more, do something else. 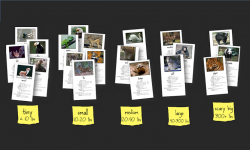 Last fall, I showed you how to take written exercises and build in more movement and interactivity with Chat Stations. Now, I offer another alternative: Reciprocal Learning, a cooperative structure that takes “working in pairs” up a notch. Each student has their own set of problems or exercises to work on. Here’s the twist: Student A has the answers to Student B’s problems, and Student B has the answers to Student A’s problems. Students take turns coaching each other through the problems, not giving the answers, but helping their partner reach the correct answer on their own. This arrangement, if done right, will help students become more self-directed, increase academic gains, and improve the quality of social interactions. 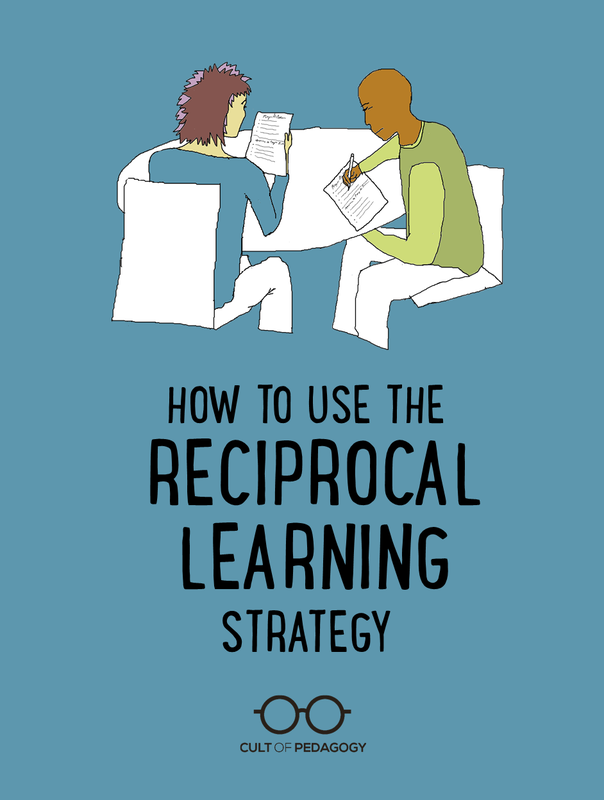 Reciprocal Learning is one of twenty research-based strategies outlined in Silver, Strong, and Perini’s excellent book, The Strategic Teacher: Selecting the Right Research-Based Strategy for Every Lesson . (Note: This is an affiliate link, which means I receive a small commission if you purchase the book by reaching it through our site. Thanks for your support!) The book also describes two variations on this strategy. The first is Peer Reading, where students take turns answering response questions to a long piece of text. The second is Peer Problem Solving, where each person has a single, complex problem to solve. What’s cool about this variation is that all the “A”s and all the “B”s meet beforehand in a “coaches’ meeting” to work through the steps of their partners’ problem and strategize for the best ways to coach their partners through it. If you like Reciprocal Learning, take a look at my overview of Concept Attainment, another strategy from this book. Although many of the techniques in the book have simple-sounding names — which makes people think they understand the strategies without really studying them — they have much more structure and complexity than their names imply. For teachers who are visual or kinesthetic learners, reading the book’s description of the techniques sometimes doesn’t quite get the job done, which is why I’m putting these videos together: The strategies are too good to go unused. I teach HS chemistry and I struggle with this every day. I really like this strategy, and I want to implement it. Any suggestions on how to implement it in a class where students interpret “working together” as meaning, “we each do half and copy the half we didn’t do from our partner”? I think to succeed with this strategy, it would help to do a fishbowl demonstration first. Make some sample sheets with really basic, easy questions on them and have two volunteers go through the steps while the rest of the class observes. And be super vigilant the first few times you use it — walk around and really coach the coaches. If you try it, come back and tell me how it went! Reciprocal learning is a powerful strategy for serious peer support and self evaluation. I use this strategy with teachers in our department meetings as well. There are easy to follow protocols that are quite effective. The feedback and reflections are worth ever bit as much as responses to test prompts! What an awesome idea, to use it with teachers as well. Thanks for mentioning that, William! Hi Jennifer, I’m very keen to offer effevtive ideas to develop marking for improvement. I don’t think there is enough emphasis on the learning that needs to take place. Teachers need to place serious value on dev Ss properly on this area. What have you used in the past? Hi, Eileen! I work for Cult of Pedagogy–thanks for your question. I think Jenn’s post and interview with Joe Hirsch called Moving from Feedback to Feedforward will be just what you need! Thanks, Anne — I’ll be sure to share with Jenn. Glad you’re enjoying the podcasts!